Thom continues to sing to the choir at his incredibly long-named conference, Pacific Northwest Conference on Primal People (PNCPP). 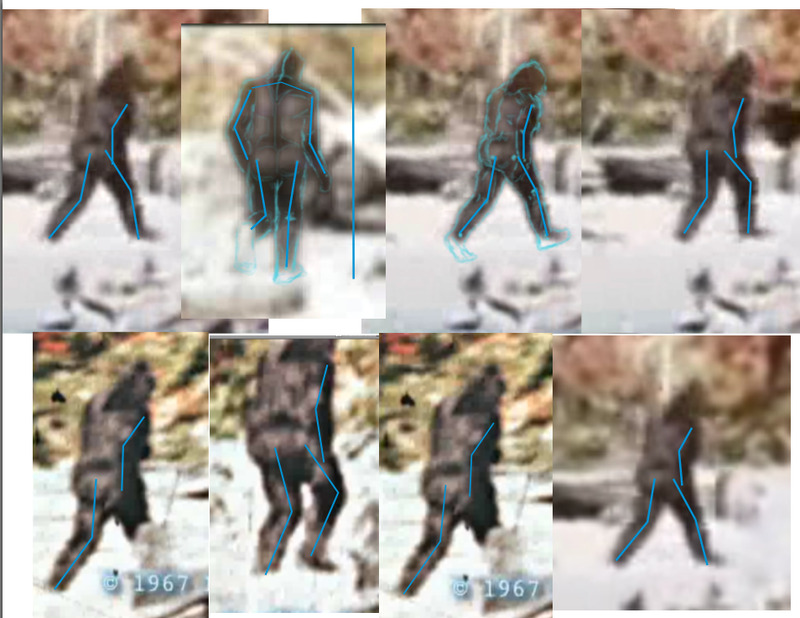 In the middle portion of his presentation he suggests that Patty, the Sasquatch in the Patterson/Gimlin film, is outside the proportions of the average human using the intermembral index. We will do you a favor, by explaining what the intermembral index means before we give you the definition. The intermembral index is simply a number that tells your whether your arms are longer than your legs (or vice versa). An index score of 100 means your legs and arms are exactly the same length. Less than 100 means you have proportionately longer legs, over 100 you have proportionately longer arms. Humans average around the low 70s. (longer legs); a chimpanzee around 108 (longer arms). The intermembral index also suggests the type of locomotion a primate uses. Again, using 100 as the base, less than 100 is common for bipedal hominids, scores above 100 or for brachiating primates (primates that swing in trees). 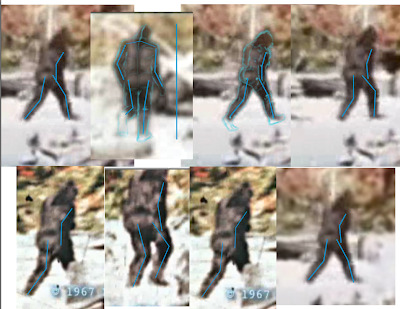 Patty from the Patterson/Gimlin film is suggested to have a intermembral index of 84. Proportionately longer arms than an average human. 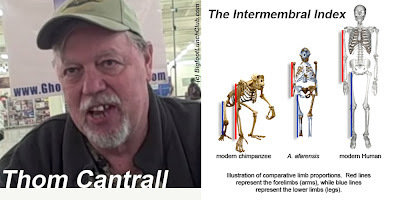 A great article written by Bobbi Short's at BigfootEncounters.com, has a somewhat critical view of using the IM index. Although that article mostly argues that Patty's hands don't go past her knees. We think it could still be argued that Patty's arms are proportionately longer than a human as Thom Cantrall explains in his video below.